Whilst many people enjoy a wager on the footy, very few actually make a profit. The stats say actually less than 2% make a profit in fact. So it begs the question of whether there is a system or strategy you could adopt that would help you improve your betting. The advantage of using a betting system is that it takes the human element and emotion out of selecting bets if you have a clear set of parameters and rules to follow. So instead of just thinking “I reckon this team will win” you can follow a clearly thought-out strategy that uses statistics or past performance to make selections. We have tested out hundreds of such systems here at Honest Betting Reviews over the years and most of them have failed to make the grade unfortunately. However, there are a few good ones out there that consistently produce a profit and deserve to be part of a betting portfolio. We will go into some of the best ones we have across below, based on our extensive research and testing over many years. So if you are looking to find out what the best football betting system is, read on. Now we will take a look at our Top 5 Best Football Betting Systems from five to one, finishing with our choice for the best football betting system. A top way to make profits out of the footy is to bet on correct scores. Whilst most punters will be concentrating on the match odds market and who is going to win the game, few will be concentrating on the correct score. That leaves some potential angles to exploit to find some value. One way to approach it is to look at teams who tend to be low scoring and win a lot of games 1-0 and 2-0, like Athletico Madrid in Spain or AEK Athens in the Greek Super League. Another approach is to focus on high scoring teams like Man City and Liverpool and to dutch some big scorelines like 3-1, 4-1 and so on. One system that seems to have found a very profitable way to approach these markets is Correct Score Daily, which is a service that has made over 2,000 points profit from betting on the correct score market. They tend to focus a good deal of their bets on the 2-1 and 2-0 scorelines but also back others like 3-1 and 1-1. Taking a specialist angle like this is good approach to football betting and can pay dividends in the long run. This is a specific system from the successful Exponential Bet service, which focuses on certain markets and growing a betting bank over time. The system utilises a bot to operate it and comes with a host of instructional videos on how to set things up. The Football Betting Bot System runs virtually on auto pilot once the bets have been entered, with just some daily monitoring required to enter the bets, reset balances, and when necessary increase the percentage stake. The goal is to focus on specific teams in certain situations and whilst we can’t give away what those are, the system has performed very well to date with minimal bank drawdown. This is what Exponential Bet is all about – building a bank gradually over time until it becomes – well, exponential. If you are looking for a solid system that is tried and tested and comes with full support and instruction, then this could be the one to check out. One approach that can work very well is to analyse niche markets such as individual player markets for performance in a match. The great thing these days is that the bookies have an absolute wealth of markets you can bet in, often offering over 100 different markets you can bet on in a single football match. This presents the shrewd punter with the opportunity to specialise and find an angle that other punters aren’t looking at. So for example you might look at the number of tackles or passes a player makes, or how many shots on target they have per game. Using statistics such as these and then analysing the opposition for where there may be opportunities for particular players to do well could provide you with an edge. One such service that has managed to do this very successfully is Player Profits. They have created an impressive database of Premier League and European player statistics and are skilled in a way of using them to generate huge profits for their members. They target an average of 20 points profit per month, which would be £200 profit each month to just £10 per point stakes and so far they have managed to churn out the profits very successfully. So if you don’t have time to crunch all the numbers yourself or just want to follow along with a system run by experts, then Player Profits would be a good choice. In a similar vein to the approach above, this one looks to benefit from an angle that most punters overlook. The fact is that most gamblers do not think about betting on the draw in football matches. After all, most punters are interested in backing the top teams or their favourite team and want someone to cheer on. Backing the draw can seem like taking a “neutral” approach to the game, as if you aren’t sure who is going to win – in which case why bet at all? That tends to mean not nearly as much money is wagered on the draw as on the win and hence the odds for the draw can be slightly inflated. So it can pay to research teams that have a propensity to draw a high proportion of games. Teams that are low scoring tend to draw more matches than those that are high scoring, but of course the odds normally reflect that. The key – as with all betting – is to identify instances where the odds are higher than they should be and where the market hasn’t picked up on the fact that one or both teams draw a lot of matches. A service that has shown great skill in selecting the right sort of matches likely to result in a draw is the appropriately-named Draw Profits. Having made over 50 points profit since starting in 2017, that would equate to over £2,500 profit to £50 stakes. There is the actually the chance to improve on those results however, as they quote results to the generally available odds, so if you shop around using a site like oddschecker or use the exchanges then you can often beat their advised odds. 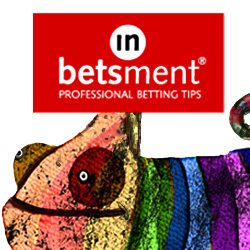 In any event, Draw Profits has performed very well and shows how effective backing the draw can be when applied in the appropriate circumstances. At the number one spot we couldn’t really go for anything other than the system that guarantees you profit from the footy (and other sports aswell). Yes, matched betting is well established now but shows no sign of slowing down. Perfectly legal and very profitable if done right, matched betting involves using all the bookies’ free bets and bonuses to set up risk-free and low-risk profits time after time. There are dozens of offers every week to take advantage of and if you are able to play a large number of them then you can bank hundreds of pounds (or Euros) in additional income every month. Some people have even turned it into a full-time profession and earn a good living of up to £25,000 per year tax free from matched betting, which is quite amazing. Of course, it is vital to know how to do matched betting properly and to have access to all the offers each day. That is where a package like Profit Maximiser comes in, with all of the instruction you could need by video and with e-mail support, plus live odds and links to the bookies’ offers. Sadly matched betting only really works well in the UK and Ireland at the moment, but hopefully more countries will allow bookies to offer free bets in the future. If you are in the UK and Ireland though and want to benefit from all that matched betting can offer, then we recommend Profit Maximiser as a top package that will take you through the whole process and provide you with all the offers you could need to make regular low-risk profits. During our live trial, Profit Maximiser made an excellent £2,469 profit, which is quite an effort and well worthy of a place at the top of our best football systems list. So there you have it, our list of the best football betting systems. If you have a personal favourite that we’ve left out, please let us know in the comments below. Hopefully though the list above has given you some ideas about how to approach football betting and provided some top systems for you to use. The great thing about using a system with a set of rules is that it takes out the human or emotional element and allows you to focus on only selecting those bets that fit given criteria. Or you can follow an experienced professional and copy their system, thus taking away all the hard work. Either way, if you are going to bet on the football then please always gamble responsibly and only risk money you can afford to lose. Football Hedging System that you reviewed. That should be up here.